Published on 2013-11-29 with no comments. Recently, I've been working on a tool to extract data from iOS backups, and one of the files that a backup have is the Manifest.mbdb (or mbdx for old versions). 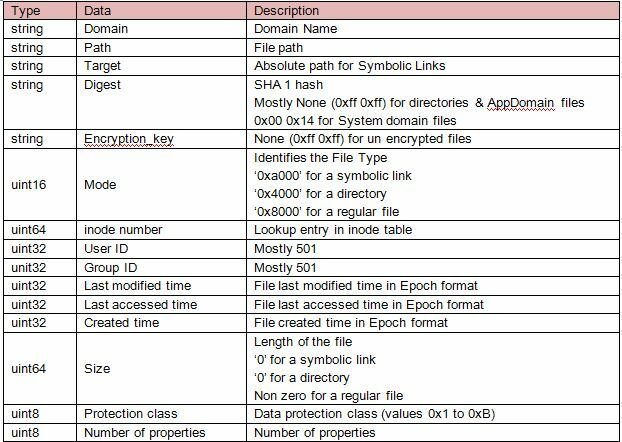 The Manifest.mbdb is a binary file that contains records for the hashed files that the backup includes, the hashed files can be anything that a certain application requires or saved, from a image thumbnail to a sqlite3 database file.